Not all backlinks are created equally. Here’s everything you need to know about link quality, link based penalties and Google penalty recovery. Read a few articles on SEO and you will almost certainly come across the phrase “build quality links”. Well, firstly, this phrase is incorrect. 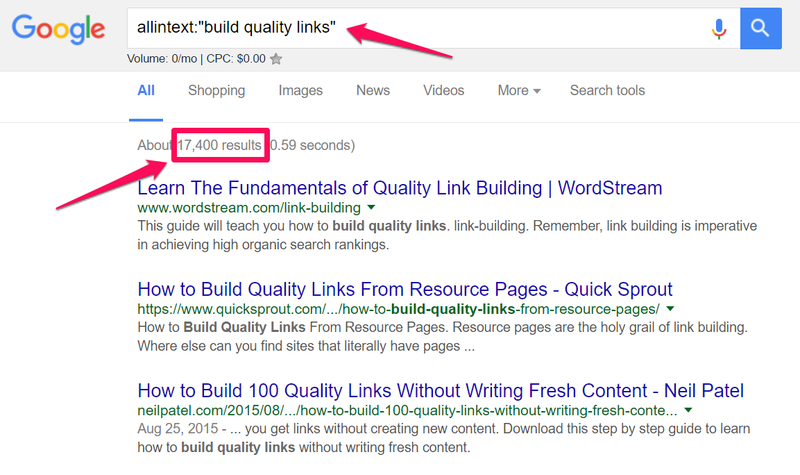 Because what SEO experts actually mean when they say this is “build high quality links”. What is it that makes one link “high quality” and another one “low quality”? Why are low quality links bad for SEO? To answer the above and more, I’m going to deep dive into the darker side of link building. I’ll also be looking at link penalties (and giving tips for recovery). So whether you call them bad, spammy, or black hat, here’s everything you need to know about low quality link building. What Makes a Link “Low” or “High” Quality? To work out what it is that makes a link “high” or “low” quality, let’s start by seeing what Google has to say on the matter. At first glance that looks a bit scary. Sounds like any time you build a link with the aim of increasing your search rankings, you’re violating their guidelines. But there’s one key word in the first sentence that makes a big difference to how this paragraph should actually be interpreted. Can you spot it? Google don’t say “are considered part of a link scheme”. They say “may be considered part of a link scheme”. Which gives them (and us SEOs) some wiggle room. And it’s this wiggle room that defines whether an active link building campaign falls on the high, or low quality end of the scale. The best way to get other sites to create high‐quality, relevant links to yours is to create unique, relevant content that can naturally gain popularity in the Internet community. Creating good content pays off: Links are usually editorial votes given by choice, and the more useful content you have, the greater the chances someone else will find that content valuable to their readers and link to it. But as I said, that’s overly‐simplified. It’s certainly a good start, but the reality is a little more complex. It all comes down to how you define “editorial control”. What Is An Editorial Link? Before we can really define what a “bad link” is, we have to first figure out that editorial part. Publishing something cool and hoping that a webmaster will stumble upon it and link to your site. Unless you’re really lucky, the best content in the world won’t magically pick up links by itself. You have to promote it. And you have to ask people to consider linking to it. In our link building guide we recommended a number of ways you should be building links to your site in 2016. Some of the tactics clearly focus on content creation and promotion (link bait, interviews, infographics etc). There’s an obvious editorial choice . But there are a few that perhaps need a little clarification as to what makes them Google safe. Let’s quickly run through them. Guest Blogging — In the first instance, the linking site has the choice of whether to accept your contribution. They also have editorial control over the links contained within the content. Directory Submissions — It was stated that you should only submit to directories which review all submissions (and importantly, reject low quality sites). In other words, directories which maintain editorial control. Press Release Distribution — Press releases should be issued for genuinely newsworthy stories that have a good chance of being of interest to (and picked up by) the press. The press release isn’t for the initial link, it’s for the distribution. Blog Commenting — Only high quality, insightful comments on a select number of blogs. The blogger has the editorial choice of whether or not to approve the comment. Niche Forums/Community Sites/Questions — Spam will be deleted by mods/downvoted by the community. So as we can see, all of the above tactics involve some element of editorial control. box, as all your guest posts should be super high quality. After all, Google didn’t say that the content had to be on your site did they? To further complicate our definition, not every “non editorial” link is a bad link. For example, linking to your site from your social media profiles is not going to do you any harm. And neither is repurposing your content as a video/slideshare (with a link), or syndicating it on an authority site. So why are these links ok? The answer is that these are all regular promotional activities. They have more to do with brand building and driving referral traffic than improving your rankings (although they will help to do that too). In addition to editorially given links, any link you build for traffic/PR purposes is likely to be Google safe. Just don’t do something crazy like syndicating your content on THOUSANDS of sites all at once. That’s when PR becomes spam. So now we know what makes a link “low quality” or “high quality”, and in a moment we will look at specific low quality link building tactics. 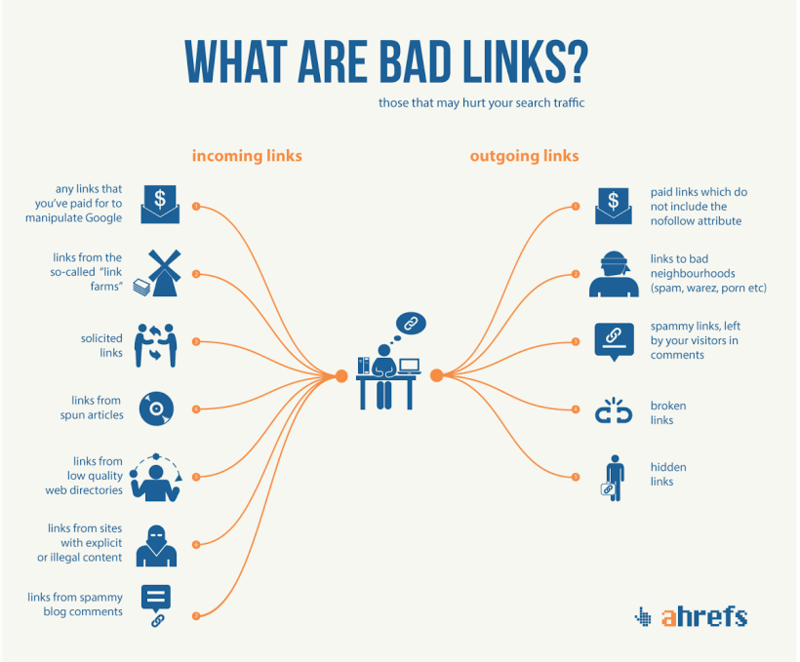 But first, let’s take a look at how bad links can affect your site. It used to be the case that low quality links would have little impact on your search rankings. Granted, there were some high profile cases of Google applying manual penalties for obvious manipulation. But generally, low quality links would simply be ignored by Google. This seemed to make sense. After all, you can’t (or shouldn’t be able to) control who links to your site and how they do it. So SEOs could adopt a fairly aggressive, quantity focused approach to link building without too much concern for anything bad happening. Worst case scenario the low quality links would be ignored. Build enough and they might just move the needle. Low quality links can see your Google rankings take a nosedive. In 2012, Google rolled out the first iteration of Penguin. Low quality links (at scale) were their primary target. It was no longer the case that what you did off site was safe from scrutiny. Sites that had been indulging in manipulative link building saw their rankings tank overnight. And as Penguin has matured with subsequent updates, the filter has got better and better at catching link spam. There has also been an increase in manual penalties as Google puts more resource into their spam team and goes after link networks. Let’s take a look at link penalties in more detail. There are two main types of link penalty: manual and algorithmic. This is when someone from Google’s webspam team has reviewed your link profile and applied a manual penalty. just plain old bad luck! How Will You Know You’ve Been Hit With A Manual Penalty? If you have been hit with a manual penalty, you will generally receive a notification in Google Search Console. It looks like this. There is a chance that you may receive this warning and not have been penalised (yet). But if so a manual penalty will definitely be in the post! An algorithmic penalty is a penalty which is applied automatically by Google based on your link profile. No human review is required. Most algorithmic link spam penalties are triggered by Google’s Penguin filter. How Will You Know You’ve Been Hit With An Algorithmic Penalty? With an algorithmic penalty you will not normally receive a notification from Google that your site has been penalised. You’ll notice your organic traffic going like this. 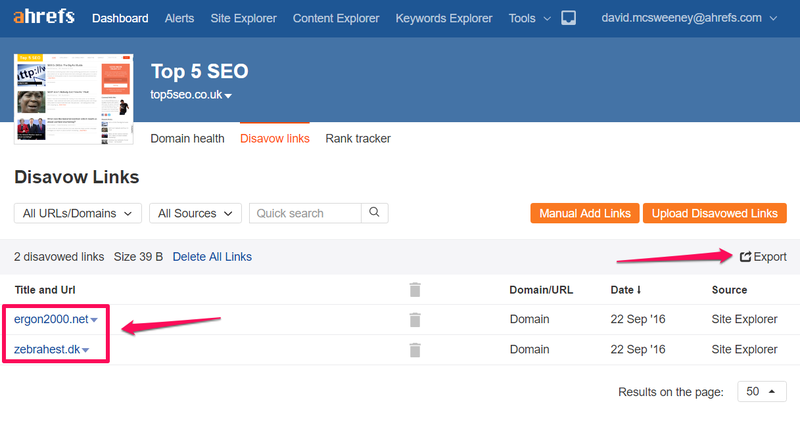 See my post on how to conduct a quick SEO audit for a quick way of analysing whether you have been hit by an algorithmic link spam penalty. Or checkout this post by Karol K for a more detailed solution. Whether manual or algorithmic, a Google penalty will lead to a significant drop in your organic traffic. In extreme cases your site could be completely de‐indexed. Now let’s take a look at specific types of link building that can get you into trouble. Here are some link building techniques that are definitely going to land you in hot water with Google. Article spinning has long been a favourite tactic of the black hatter. 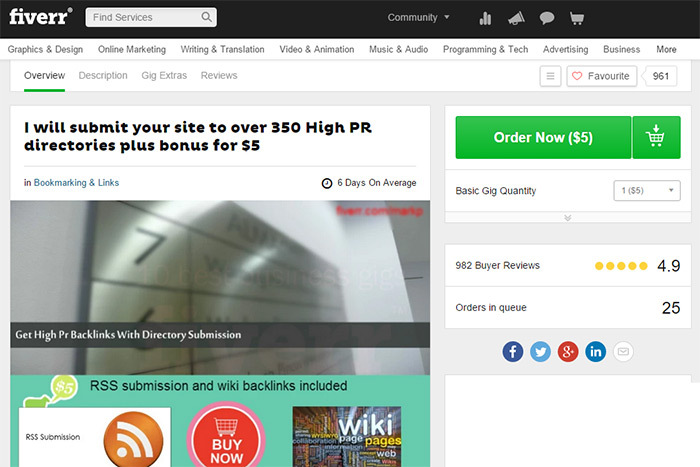 Post those spun articles on article directories or spam blogs with a link back to your site. Incredibly, there are still a number of respected internet marketing blogs who advocate this as a solid link building tactic. Some even point readers to vendors who will automate the whole process. But believe me, going down this route will kill your site. Comment spam is another black hat link building tactic that has been around for a long time. It can also be easily automated using software such as scrapebox (a useful tool btw, which can be used for more ethical purposes). If you run a WordPress blog, you’re probably seen comments like this in the spam section. But no link for you today. As you can see, this leaves a huge footprint for Penguin to pick up on. And to bash your site with. Commenting on a select number of authority sites in your niche can very much be part of a white hat strategy, but the comments should be manual and relevant. Good comments will also drive traffic! There are 2 ways to spam forums. Firstly, you can simply create multiple profiles and put your link in there. Secondly, you can place links in actual forum posts. Either in the signature or in the body of the post. Again, there is software that will do all that for you, or you can use a well known link building service (a guy’s name beginning with P) that’s been around for a long time. Forum marketing can be part of a white hat promotional/link building strategy. Become an active member of the community and share your link when it will genuinely be helpful for other members. Firstly, not all paid links are bad, and Google doesn’t have a problem with paid links per se. This is a battle they have been fighting since the mid 2000s, when they clamped down on link buying/selling networks such as ‘Text Link Ads’. To comply with Google’s guidelines, any links you buy should include the rel=“nofollow” attribute. I used the term ‘non editorial’, as certain links (such as those from premium directories), may be DoFollow and paid. But in that case the fee is technically for an editorial review. In theory the link could be refused by the directory and the fee non‐refundable. If you think that using something like this will help your site rank, then think again. This kind of low quality, bulk directory submission hasn’t worked for at least 10 years. These days a forum blast such as this is likely to get your site penalised. There are a few high quality directories left that may be worth the submission fee (BOTW for example). And if you can find a niche specific (and picky) directory then that’s also worth looking at. But as an effective, scaleable link building tactic, directory submission is done. Unless you happen to be in that industry (I hear it’s very profitable), then links from p*rn sites aren’t going to do you much good. Other bad neighbourhoods include obvious content/link farm sites which exist solely for the purpose of linking out. Not only are you likely to be penalised, you are probably breaking the law. If your site is in the UK, Google would generally expect to see a good percentage of your links coming from other UK sites. Certainly the bulk of your links should be from sites that are written in English. A high percentage of low quality foreign language sites (look for .cn and .ru in particular) linking to you is a big red flag. Of course, if the foreign language site linking to you is high quality, then that should probably be fine. Guest posting remains a highly effective way to get your site in front of a new audience and build some high quality, authority boosting links in the process. But only when done correctly. The days of scaled guest posting, with little regard for either content quality, or the quality of the linking site are over. Google went after this tactic in a big way in 2014 — completely de‐indexing a high profile guest blogging community. If you are guest posting on authority sites in your niche, with primarily branded anchor links, then it’s all good. If on the other hand you are going for quantity (and exact match anchor text), then you might get penalised. Karol K (@carlosinho) wrote a nice post on the topic here on Ahrefs in which he stressed the importance of building a relationship with the host blog/blogger when guest posting. In fact, it’s really quite simple. The closer your relationship is with the blogger, the more you’ll be able to do in terms of linking. Once someone trusts you, they will have no problem linking to your pages with whatever anchor text you wish. There are many SEOs who will disagree with me here, but I would say that using PBNs to build links to your site is certainly a high risk strategy (at best). There was a big panic in the SEO space in 2014 when Google took targeted action against PBNs. Many well established sites lost their rankings overnight. It is clear that Google is on a mission to detect, penalise, and shut down PBNs. I suspect that as they get better at sniffing them out, this will all be baked into the algorithm. Notwithstanding the risks, Perrin (formerly of Niche Pursuits who before they were hit in the PBN update had been big advocates of the method) made a great point on their podcast. We talk to a lot of people still building PBN links, and they know there is a risk. They do it because it’s PERCEIVED to be easier, cheaper, and overcomes the barrier of having to interact with real human beings. However, the business case for outreach is that it actually is much easier and cheaper than everything that goes into building out a real PBN. Overall, the amount of time and money needed to build a real PBN is not easier than genuine outreach. And the links that you get from outreach are obviously “real”, there’s no risk here with Google. 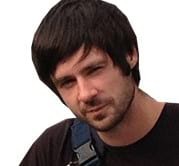 Since refocusing on white hat link building Perrin realised that it was actually more expensive (both in time and money) to build out links on a PBN than to pick up the equivalent number of links through outreach. Reciprocal link building happens naturally on the web on the time. After all it makes sense that you would talk about other sites in your niche and they would talk about you. Linking out is also a great way to get the attention of other sites in your niche. If they return the favour by linking back in the future, then that’s definitely going to help your site. But if you are going round contacting hundreds of site and asking to exchange links (particularly on stand alone, non niche relevant ‘links’ pages), then that’s eventually going to cause you some harm. There’s nothing wrong with links pages, provided they are on topic and relevant. In fact, links pages can be prime targets for broken link building. So, quality, niche specific and selective links pages good. Non niche specific free for alls bad. If it’s the former, go and grab that link. If it’s the later, then avoid it. 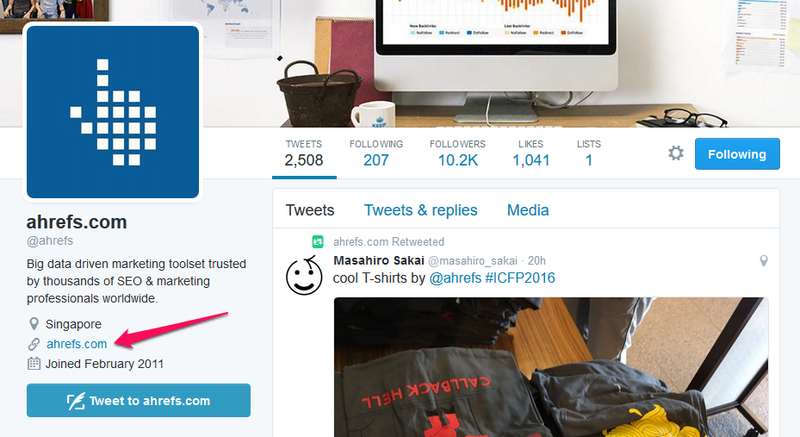 Before moving on to how to use Ahrefs to audit your link profile, let’s quickly touch on outgoing links. I’m going to keep this part brief, but before I run through some of the types of outgoing links to be wary of (or avoid completely) I want to make 2 points. don’t add nofollow to all your outbound links. I’m seeing this more and more and it’s a damaging trend which again is caused by confusion over what is safe when it comes to links. If someone deserves a link, then link to them. After all, links were the web’s original path to discovery. They were around for many many years before Google came along and turned them into a commodity. And notwithstanding that, linking out is a big part of SEO. Well placed outbound links can get you on the radar of larger sites and build your topical authority. What’s not to like? So, having got that off my chest, here are some quick rules of thumb for outgoing links..
We’ve covered a lot of different types of link above (both incoming and outgoing), so you might want to download and save our ‘what are bad links’ infographic as a quick reference. If your site has been hit with a link based penalty, then you will have to attempt to remove (or disavow) the low quality links to see recovery. For manual penalties, you can then submit a reconsideration request to Google. The good news is that Penguin is now operating on a rolling basis, you will no longer have to wait for a refresh. Which means that cleaning up your link profile should see your site recover fairly quickly. Either way, you’ll want to start the process of finding (and dealing with) bad links as soon as you know you have been penalised. Here’s how to do it with Ahrefs. Watch the video below for the full process, or follow the steps below. 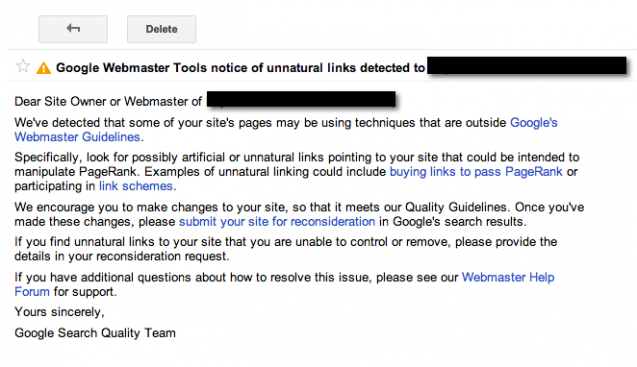 While the process of finding bad links remains the same, for manual link penalties you will want to submit a reconsideration request. 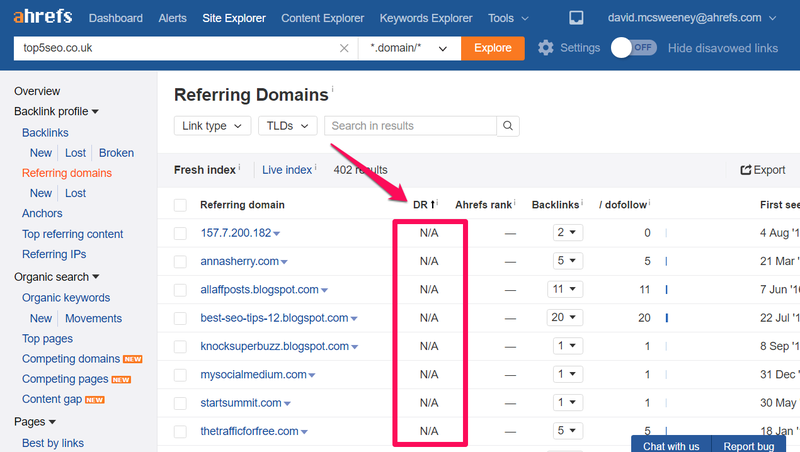 The first step is to add your domain into your Ahrefs dashboard. This will allow you to create and manage a disavow file from within the tool. Click on “DR” to re‐order the report with the lowest quality links at the top. When you find a suspicious domain, click the number under the “backlinks” column for more details. Above we can see the individual linking URL and the anchor text of the link. If a link looks suspicious, click through to the linking page to manually review it. In this case we can see that the link comes from a low quality, spun page. So it’s definitely one we will want to get rid of. Tick the checkbox next to any domains you wish to disavow. Then click on “Disavow Domains” at the top of the report. Once you have added all the domains you wish to disavow, return to your Ahrefs dashboard and click “Disavow links” above your domain. The domains you added previously will be listed in the report. Click on export to begin creating your disavow file. Check the box to save the disavow file in .txt format. You will now have a properly formatted disavow file, ready for uploading to Google. Before submitting a disavow file to Google you should make an attempt to remove any low quality links by reaching out to the linking sites. If your removal request is unsuccessful, you can then disavow the link/domain. To upload a disavow file to Google, first login to the Google account associated with your domain (in Search Console). Then go to the disavow tool, select your domain, and click “Disavow Links”. 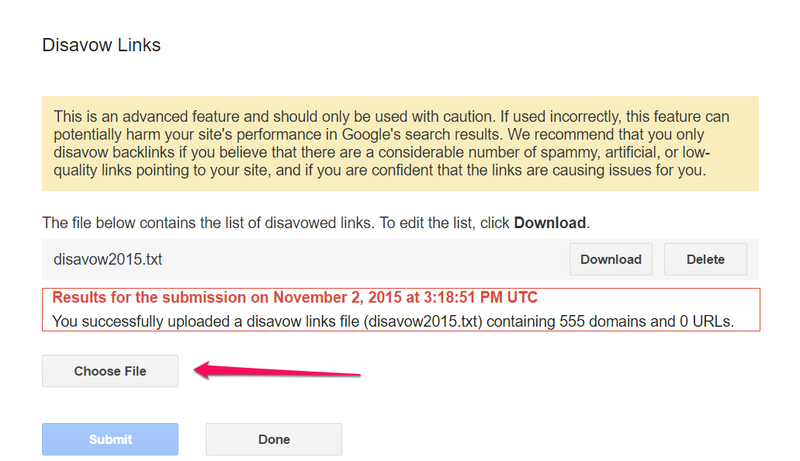 Click “Choose File” and upload your disavow file to Google. Below you can see that I have previously submitted a disavow file for this domain. As of 23/09/2016, Penguin is operating on a real‐time, rolling basis. So you will no longer have to wait (a long time) for recovery. We don’t know yet just how quick this will be, but it’s not unreasonable to think that within 30 days of removing bad links/disavowing, Google will have picked up on the changes and removed the penalty. An essential part of modern SEO is actively monitoring your link profile and checking for low quality/suspicious links. Even if you are sure you haven’t built any yourself, there’s nothing to stop a competitor paying a shady company to launch a negative SEO attack against your site. It’s not nice, but it happens. If you haven’t checked your link profile recently, you should make it a business priority to audit your links using your Ahrefs account asap (if you don’t have one you can sign up here!) and deal with any issues you find. Any questions or comments? Any dodgy link building methods I’ve missed? Do you love PBNs and think I’m talking nonsense? Does comment spam rock your world? Your feedback is always welcome, so please leave a comment below and I’ll be happy to help in any way I can (or indeed take your abuse).